A ward-winning adviser and suitably qualified person Mark Pass, from Beeston Animal Health, says he took the first step towards helping his farmer customers reduce flock lameness problems when he attended a training course run by MSD Animal Health. He is now a qualified sheep lameness reduction adviser and one of many around the country helping farmers join the march towards less than 2 per cent lameness in the national flock. Based at Tarporley, Cheshire, and part of the Willows Veterinary Group, Beeston Animal Health was instrumental in helping vet Gethin Edwards set up the Willows Sheep Club six years ago. Mr Pass and his veterinary colleagues at Willows now engage proactively with almost 50 sheep farmer members of this thriving club. He says: “Farmers pay a monthly membership fee and gain a range of benefits, including three on-farm advisory visits a year and a full flock health plan. The sheep lameness control planner (LCP) tool, developed by MSD Animal Health, has enabled Mr Pass to kick-start productive advisory discussions with up to 70 farmers. 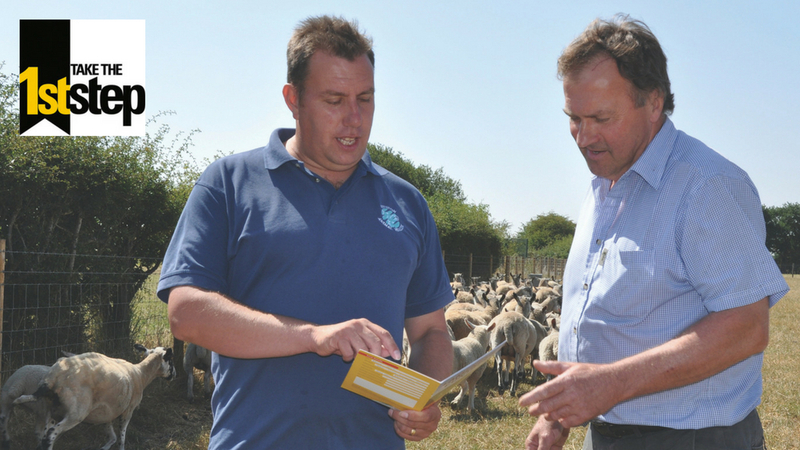 He says: “The LCP offers sheep farmers and their advisers a simple, effective and yet highly visual ‘where are you now’ method of identifying whether a lameness management protocol is unbalanced in any way. “The proven five-point sheep lameness reduction plan gives shepherds a clear management strategy and a practical protocol for reducing the incidence of this costly problem. “However, it can be quite difficult to assess where you are sometimes with existing control approaches, but this questionnaire-based tool certainly helps pinpoint areas of weakness. 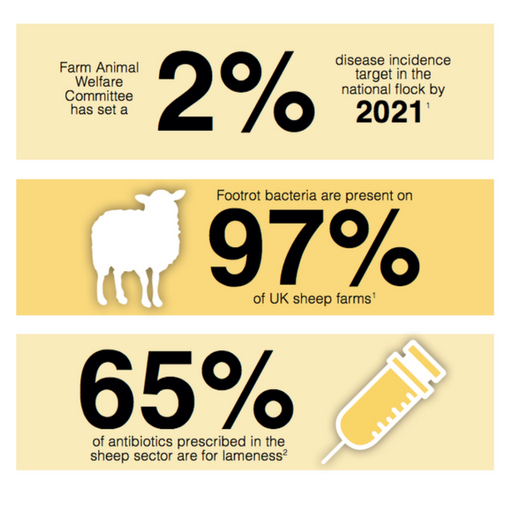 The LCP scores current farm practice within each of the five points which make up the sheep lameness reduction plan: culling; treatment; quarantine; avoidance; and vaccination. Virtually without exception, Mr Pass says the farmers he engages with really do want to stamp out lameness. He says: “Farmers hate to see lame sheep and certainly want to reduce reliance on antibiotics to treat bacterial foot infections. To be constantly having to gather animals and treat them can be soul-destroying, aside from all the time it takes. “Often all farmers need is a little guidance on taking the first step towards better disease control. Furthermore, Mr Pass says the advice seems to be working. He says: “Every farm is different, but those which have implemented the five-point plan in our area have all made an improvement. It was the advice from Mark Pass and the implementation of a six-monthly vaccination regime which sheep producer John Gate credits for helping him finally get on top of his flock lameness problems. Mr Gate runs a small flock of 100 March-lambing pedigree Rouges, alongside 800 commercial North Country Mules at Langford Farm, near Northwich, in Cheshire. With sheep farmed extensively on various parcels of rented ground away from the homestead, including parkland, the Cheshire showground and local dairy farm grazing, catching and treating sheep within two to three days of going lame can be challenging. Mr Gate says: “By the end of autumn, we can have 2,500 sheep to look after and some are 10 miles away. But we work hard at it because sheep won’t do well if they are lame. The Gate family discussed the issue with Mr Pass, using the MSD Animal Health LCP to help highlight some weaknesses in their flock management system relative to best practice implementation of the five-point plan. Mr Pass says: “The farm buys-in 150 Mule gimmers each year and these are kept as a separate flock for 12 months, so he scored very highly on quarantine. “He was also culling harder for lameness, with anything which had to be treated more than twice being earmarked for removal from the flock. Ewes were first vaccinated at the end of September last year and boosted after lambing outside in April. Mr Pass says: “This second dose, about six months before the peak disease problem has been manifesting itself, makes sense. 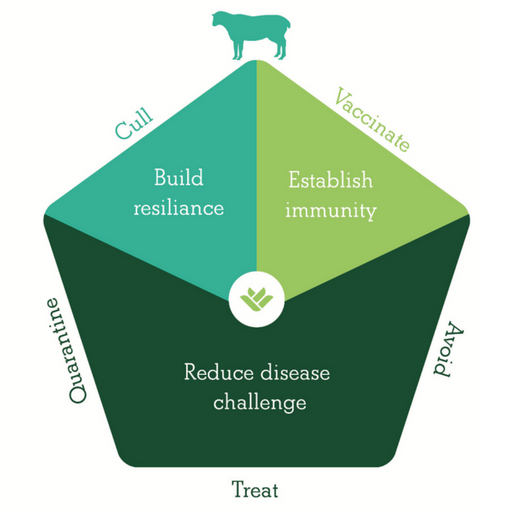 “Once we are on top of the problem, Mr Pass says by committing to all elements of the five-point sheep lameness reduction plan, farmers can build in a margin of safety to ensure their flock becomes more resilient to the infectious causes of lameness. 1. Farm Animal Welfare Council, Opinion on lameness in sheep; March 2011. 2. Davies et al, Quantitative analysis of antibiotic usage in British sheep flocks; Veterinary Record November 2017.